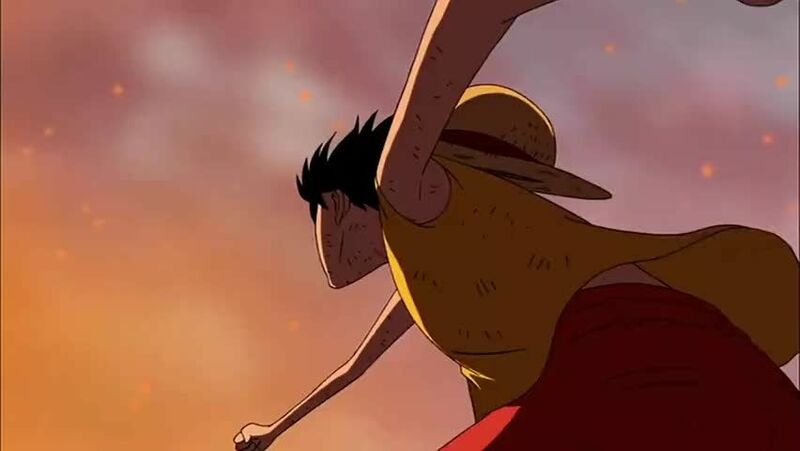 You will Watch One Piece Episode 474 English Dubbed online for free episodes with HQ / high quality. Stream anime One Piece Season 14 Episode 16 Execution Order Issued! Break Through the Encircling Walls! Akainu’s Meteor Volcano melts the nearly all the ice and destroys the Whitebeard Pirates’ ships, dropping them into boiling water, enabling the cannons on the wall to bombard them while the Pacifistas block the way out. The hole left open by Little Oars Jr.’s body is vulnerable, and Luffy and some of the Whitebeard Pirates try to break through, but are forced back. Sengoku prepares to have Ace executed now that the Whitebeard Pirates cannot save him or escape, but Oars regains consciousness. Jimbei launches Luffy over the wall, and he begins to fight the three admirals as Whitebeard decides to play his “trump card”.